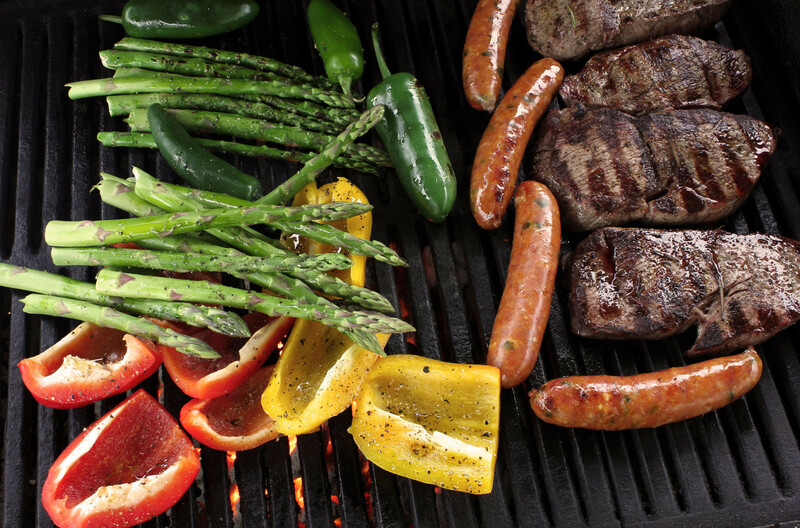 3 Simple Grilling Tips for Better Food! Summer is an awesome time to pull out your grill and prefect the oldest recipe out there – meat and fire. Here are some easy simple tips to get the most out of your next family dinner! Buy Good Meat – we know it sounds like a no-brainer, but the quality of your meat makes a huge difference. Of course, we only use our beef when we are grilling beef but whether it’s chicken, pork, or fish you want to find meat that is raised and cut in the best way possible. What do we mean by that? When animals are out in their natural habitat they are able to eat selectively for the nutrients they need rather than what someone feeds them. The meat has far more flavor, the marbling is more natural, and the meat is more tender. Not to mention that the animal is healthier and happier. Find Fresh Produce – The trick to finding good produce is finding stuff that was picked when it was ripe and ready to be picked. Often farmer’s markets are good options, growing your own is rewarding in two ways – both the growing experience and the flavor – but the other option is finding a grocery store that has a section of produce that is locally raised. Now that you have your fresh produce the next step is preparing it right. Generally, the trick is cutting the produce to the right thickness and keeping the cuts consistent. That will let you cook your fruit or veggies on the grill without burning the outside before the inside is done and all the different cuts will cook uniformly. For some easy examples check out our recipes page. Keep It Simple – So often when we meal plan we think it has to be some elaborate 18 course production. The truth is you only have some so much time in your day and there is only so much room in your stomach so remember to KISS – Keep It Simple Silly. Some of our favorite meals as a family are just a simple steak, some grilled veggies and maybe a salad or side like rolls from the store. When we try to make the meal too fancy it just ads a layer of stress and complication to our meal. When you start with good food you won’t need to have complicated marinades or toppings to try and cover the flavor.